Tropitone Cantos Relaxed Sling Bar Stool, 17.5 lbs. 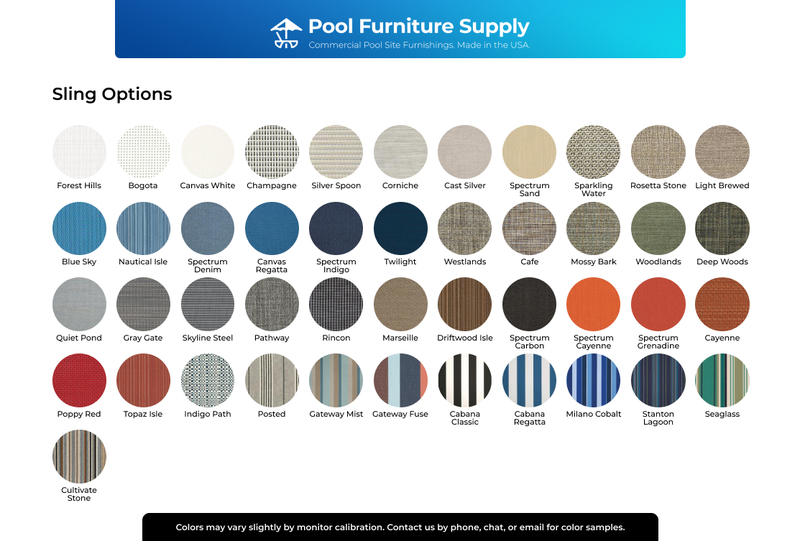 Our Tropitone Cantos relaxed sling bar stool is perfect for both indoor and outdoor use at hotels, resorts, and beachside bars. 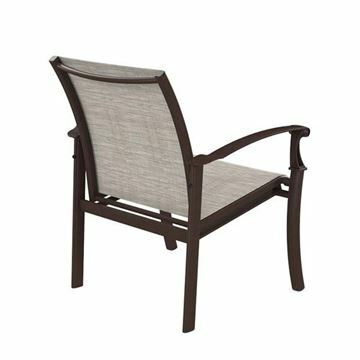 The powder-coated aluminum frame is smooth with an elegant arm design. Fitted with a commercial sling that had been slightly relaxed for a not so firm seating. 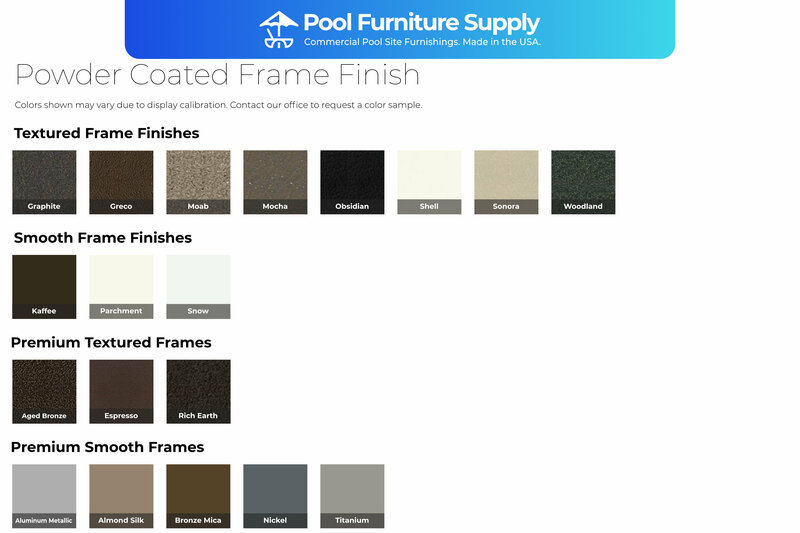 Complete the Cantos collection at a fraction of the price, by requesting a quantity discount quote from Pool Furniture Supply today! 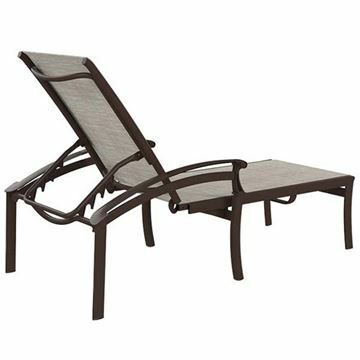 Tropitone Cantos Relaxed Sling Chaise Lounge, Stackable, 29 lbs.